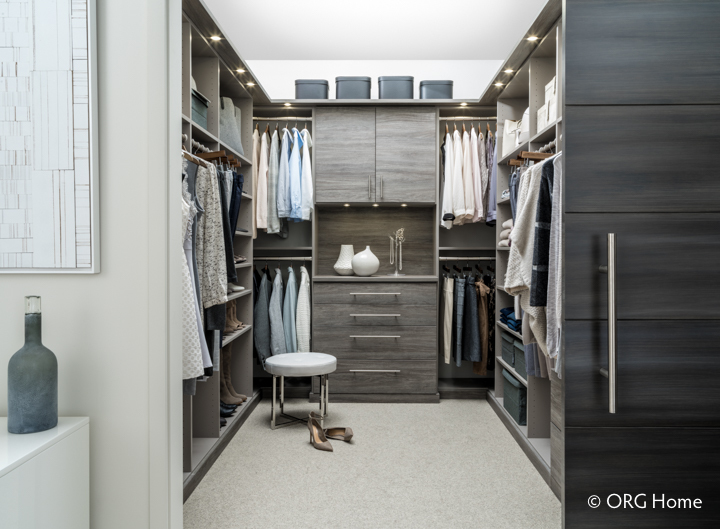 One simple solution is a custom closet that’s designed especially for you. By choosing all of the details, from gorgeous colors to special storage features, you can create a space that makes you feel centered and peaceful both morning and night. Have lots of hanging clothes? Plan multiple hanging rods so you have room to organize them by type, length, and even color. Add open shelves to hold folded sweaters and drawers for lingerie. Put your collections on display. Why hide your favorite shoes and boots when you can show them all off at once? With adjustable slanted shelves, you’ll enjoy seeing your special finds and wear them more often, too. 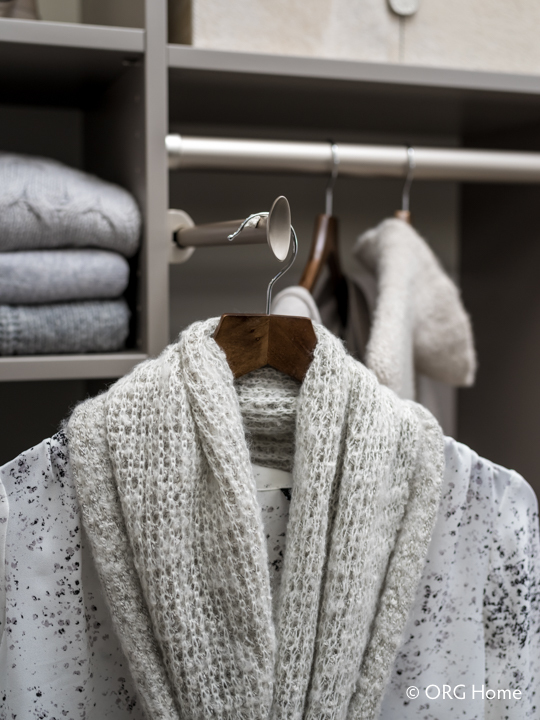 Smart details like pull-out valet rods or extendable scarf and belt racks make it easier to plan outfits, simplifying the daily decisions you make while getting dressed. Add a hutch to your closet to create a stunning focal point, while keeping photos, souvenirs, or fresh flowers in sight while you dress. Consider adding a wireless speaker so you can set the mood with music any time of day. Indulge your sense of color and style. Home organization systems can be just as expressive as the rest of your house. 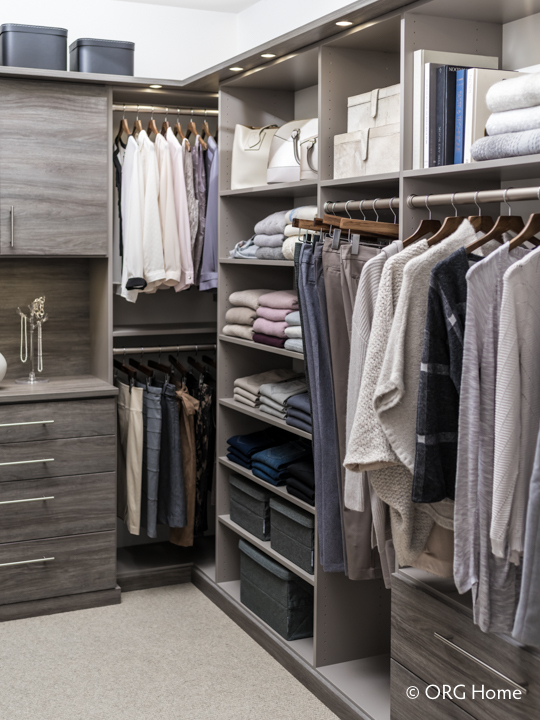 Choose from solid and woodgrain colors in classic and on-trend hues to create a closet that’s in harmony with you and your home. You don’t have to leave the house to find your happy place. 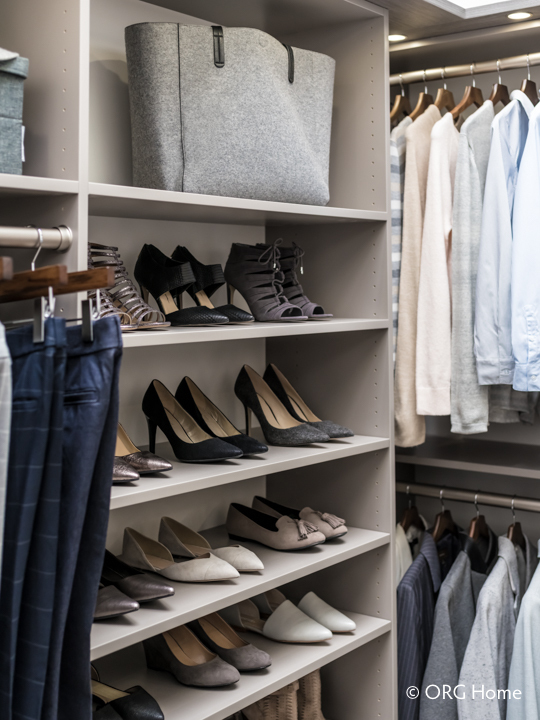 Every visit to your closet can be another chance to feel at ease and appreciate the calm and beauty of your surroundings.